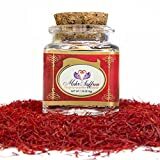 The history of saffron stretches all the way back to the late Bronze Age and back then it had numerous uses just as it does today. Saffron consists of the dried stigmas of the crocus flower and was used in the Middle East as a spice, dye and as perfume. 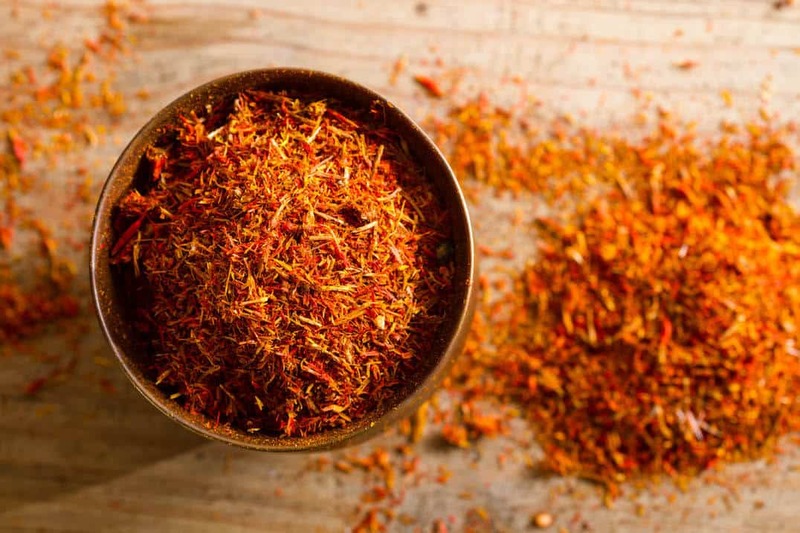 In ancient Rome, Romans used saffron to perfume their baths. In the Henry VIII’s court, women used saffron to color their hair until the king forbade it. The prohibition on saffron-colored hair was due to the king’s fear that a shortage would keep the spice from reaching his table. 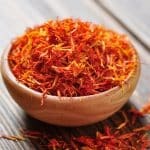 Saffron was so prized that in 15th century Germany, merchants who adulterated it were burned at the stake. The Arabs planted crocus flowers in Spain when that region was under their control; in fact, the word “saffron” comes from the Arabic “zafaraan.” From that era until the present, saffron has continued to be the most expensive spice in existence. It is expensive because more than 225,000 of the crocus flower stigmas must be harvested to make a single pound of the spice. Today, most saffron is grown and harvested in Iran. That country produces 90 percent of the saffron harvested every year; however, Italy along with Greece and Morocco are major producers as well. 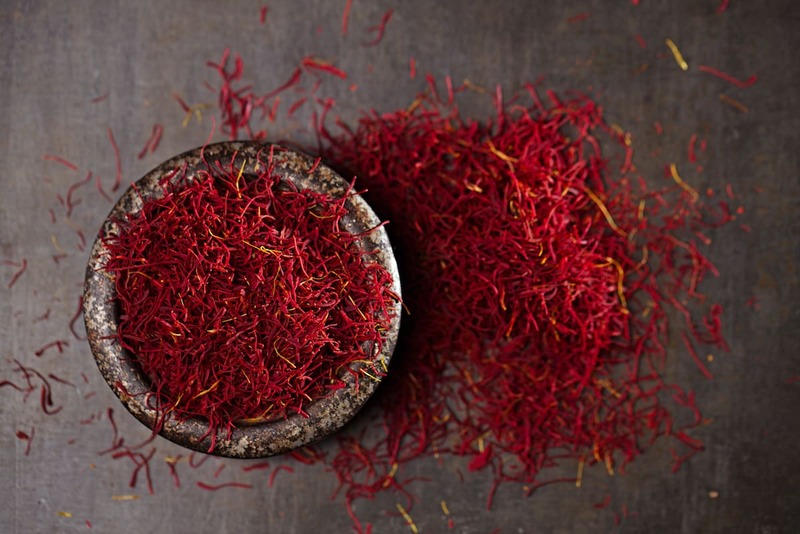 The complex flavor of saffron can change depending on the dish in which it is used. It is widely described as being bitter and slightly metallic, and its odor as sharp and penetrating. It can be used to treat depression. Research from the Langone Medical Center at New York University suggests that saffron may benefit those suffering from depression. It may also be beneficial as a long-term treatment of the condition since there are no known side effects associated with it. It improves memory. Crocetin and crocin are two compounds contained in saffron that may help with memory and cognition. As a result, saffron may be useful for treating Alzheimer’s disease according to at least one published study. Crocetin is the substance responsible for saffron’s bright yellow color. It may fight cancer. Along with helping memory, crocetin and crocin may help to fight tumor growth. It may fight blindness. Saffron may improve vision and may be particularly effective for preventing age-related macular degeneration. Age-related macular degeneration is one of most common causes of blindness in the elderly. It is a painkiller. Throughout history, Saffron was used as a pain reliever in many countries around the world. The active pain-killing ingredient is isophrone, which is currently being tested for use in treating a variety of diseases. Saffron is an extremely potent spice which means that a little of it is all you need. A pinch can dramatically transform the character of a dish. 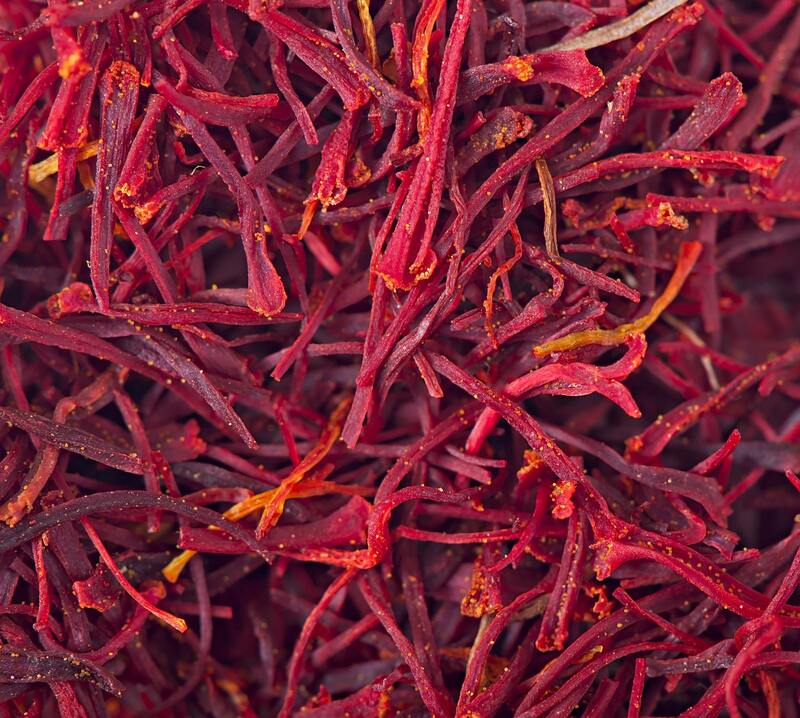 Saffron is used in many Indian dishes including rice dishes, sweets and ice creams. It is also popular in Saudi Arabia where saffron and cardamom are traditional flavorings for Arabian coffee. Saffron is an essential ingredient in authentic Italian risottos and in traditional Swedish saffron bread as well as in French seafood stews. In Spain, saffron is used in paella and is arguably the most important flavoring in that dish.